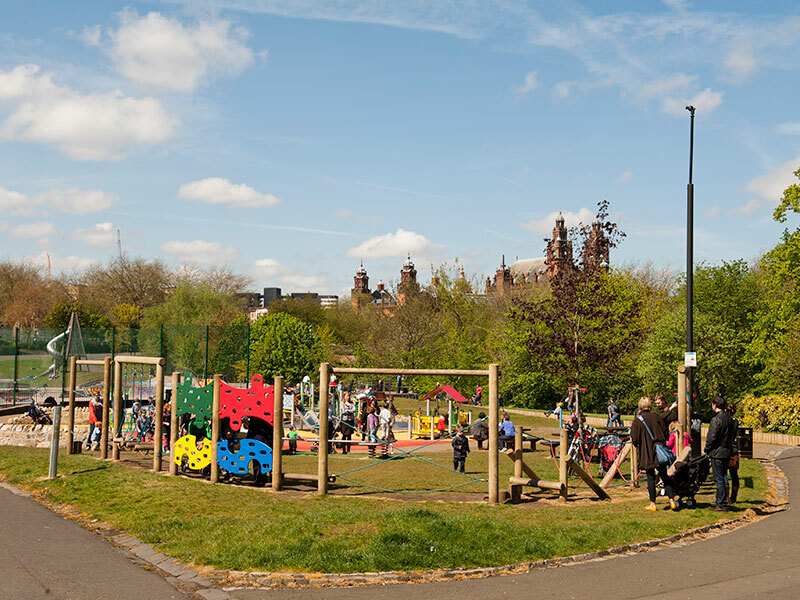 The Glasgow City Region's Green Network will provide well-connected, high quality, multi-functional greenspaces throughout the region. From cycle paths to allotments, wildlife habitats to urban rain gardens. The Green Network will provide easy and well-linked access to the outdoors for people of all ages. Our vision is of a transformed environment, one that improves lives and communities and lets business flourish. Through the Green Network, we aim to make the Glasgow City Region one of the most attractive places in Europe in which to live, work and play. Learn about the benefits the GCV Green Network will bring to the Glasgow City Region and how the area will be transformed. A significant investment, but annually it equates to the cost of creating just one mile of motorway – so a comparatively small amount given the significant benefits it will yield for all of us, now and in the future. The region's Green Network can provide a wide range of benefits for people and wildlife. The Executive Team deliver the work programme of the Partnership and more beyond. We bring people together, we think strategically and act as a catalyst for action. Reports, Guidance and Corporate brochures. Maidenhill is a large scale residential development site which has the Green Network and Green Infrastructure as central components of its Masterplan and Design Guidance. It is an exemplar of how planning policy and guidance should give Green Infrastructure the same level of importance as “grey” infrastructures such as roads and energy and be ‘designed in’ to new developments from the outset. 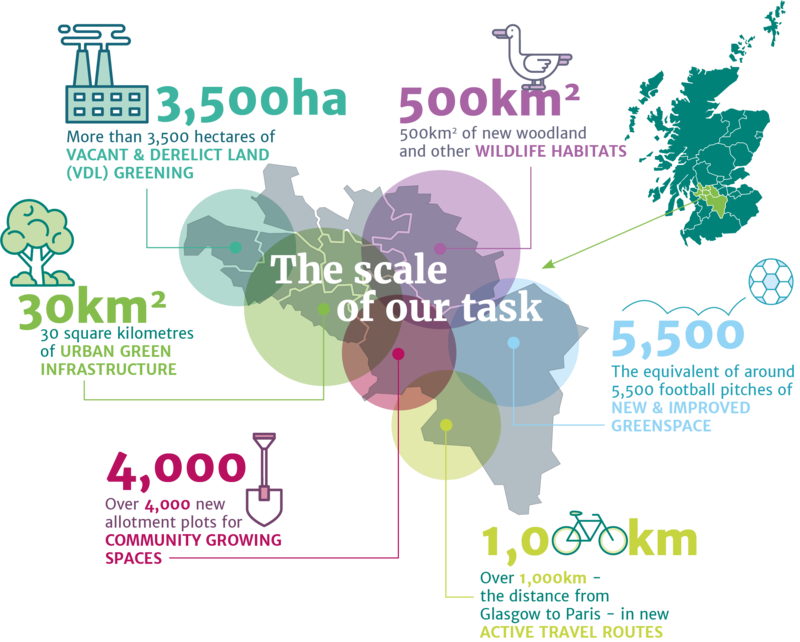 At more than 16km2 the Seven Lochs Wetland Park is destined to become Scotland's largest urban wildlife site, and an exemplar of Green Network planning and delivery. Straddling the Glasgow & North Lanarkshire boundary between Easterhouse, Coatbridge and Stepps the Seven Lochs is a fantastic asset at the heart of the Glasgow & Clyde Valley Green Network. The Clyde Gateway takes in an area of Glasgow and South Lanarkshire totalling 3.3 square miles. It is identified in the third National Planning Framework as a National Regeneration Priority. The Clyde Gateway has in recent years undergone massive transformation and this change will continue for years to come. The principle of integrating the Green Network as a fundamental part of the regeneration process has been embraced by delivery partners from the outset. The Partnership has been at the forefront of Green Network Thinking for more than 10 years. From early development of the concept to integrating it into the planning system and promoting it across disciplines. Today the Green Network is built into many national, regional and local policies & strategies, take a look at our timeline which highlights key moments and vital pieces of work which have shaped the Green Network over the years. The Blueprint sets out how the Green Network will allow people to move around and between their communities via off-road paths and greenspaces and identifies where these connections currently exist and where there is a need to complete the Network. This will allow identify areas which need to be protected, enhanced and created.